It is common knowledge that dogs love to go for walks. Your four-legged friend is often full of energy and needs the exercise. It makes sense then, that dog can also make great running partners. 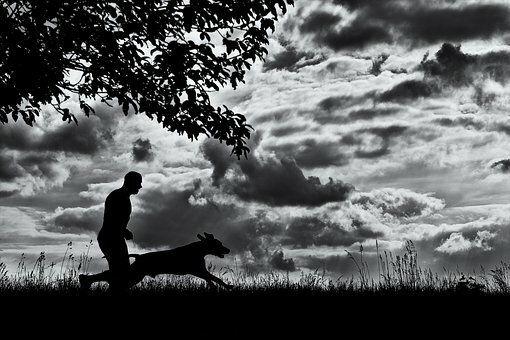 Have you tried running with your dog before? Whether you have run with your dog a few times before or you are just getting started we have a few tips to help you out! When you first start out, plan a short route to see how it will go. If your dog is used to walking with you, they may need some time to adjust to the change of pace. A few short runs is a good starting point to establish where both you and your dog are at for running together. Start with a shorter leash about 4-6 feet. As you and your dog are training to run together, having your pup stay close to you is key. 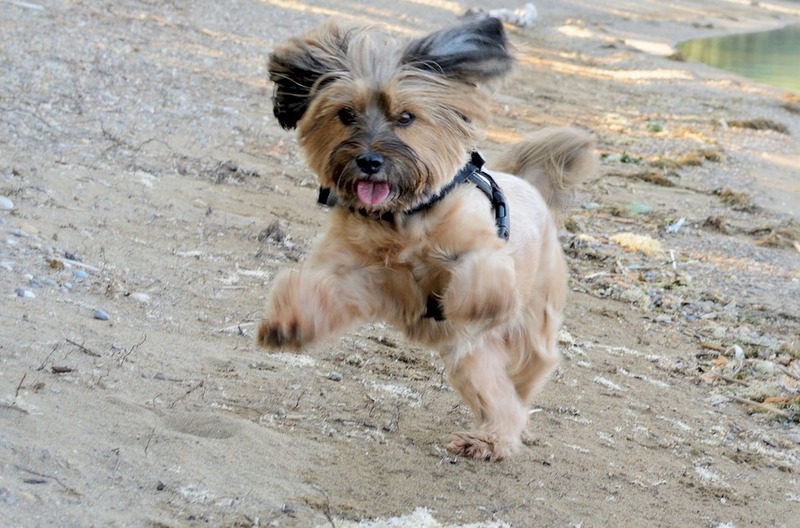 Having a separate leash for running will also help your dog know it is time to run. If your dogs are anything like mine, the walking leash means stopping every 15 feet to sniff, mark, or leave a deposit. Having a separate leash for running means we can avoid lots of stops. Consider your running surfaces as well. Asphalt gets hot in summer and ice cold in winter. Pavements can be painful on both your joints. Finding a dirt path or trail near you, or timing when you go out can make a big difference. As you increase distance, bringing water for both you and your dogs is also a good idea. Finally, keep an eye on your dog’s health. Some breeds are better runners than others. If your dog is used to sleeping on the couch, joining you for a 10-mile run right away might be a bit much. Start with a few short runs to see how well your dog keeps up, how out of breath they get, and how well they recover for the next day. Do you think you’ll go running with your dog soon? Let us know how it goes!